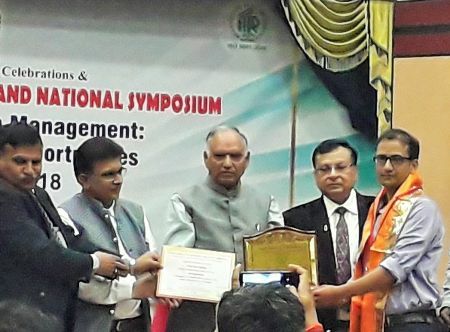 Nauni/Solan: Dr Durga Prashad Bhandari, a scientist of the Dr YS Parmar University of Horticulture and Forestry (UHF), Nauni has been conferred with the Outstanding Young Scientist Award 2018 at a National Symposium held in Kanpur. The Indian Society of Mycology and Plant Pathology, Udaipur at the 39th Annual Conference and National Symposium on Plant and Soil Health Management: New Challenges and Opportunities presented the ‘Professor HC Dube Outstanding Young Scientist Award’ to Dr Bhandari. 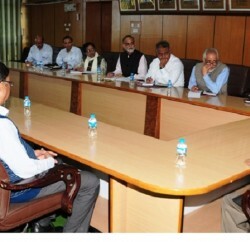 The event was held in collaboration with ICAR-Indian Institute of Pulses Research, Kanpur. Dr Bhandari was conferred with the award for his contribution to the subject of mycology, plant pathology and particularly for reporting three diseases of hazelnut from India. 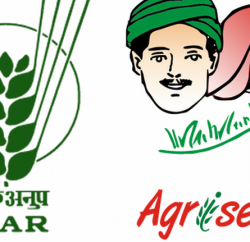 The award carries a gold medal, certificate and a memento, which was presented by Dr PK Chakrabarty, Assistant Director-General (Plant protection and biosafety), ICAR. Dr Bhandari was also conferred with a commendation certificate for his research work presented for PP Singhal Memorial PI Industries Award -2018. 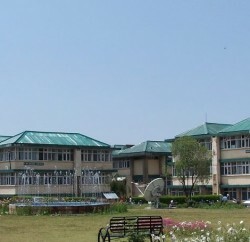 Dr Bhandari is presently working at the University’s Regional Research Station in Kinnaur. The current award comes on the heels of B Sc student Lokesh Bhanot winning the silver medal at the World Kickboxing Championship held in Argentina. In addition, Dr DD Sharma, Professor and Head of the Social Science Department was awarded ‘Excellence in Teaching Award’ at the International Conference on ‘Global Research Initiatives for Sustainable Agriculture and Allied Sciences 2018 held in Rajasthan last month.